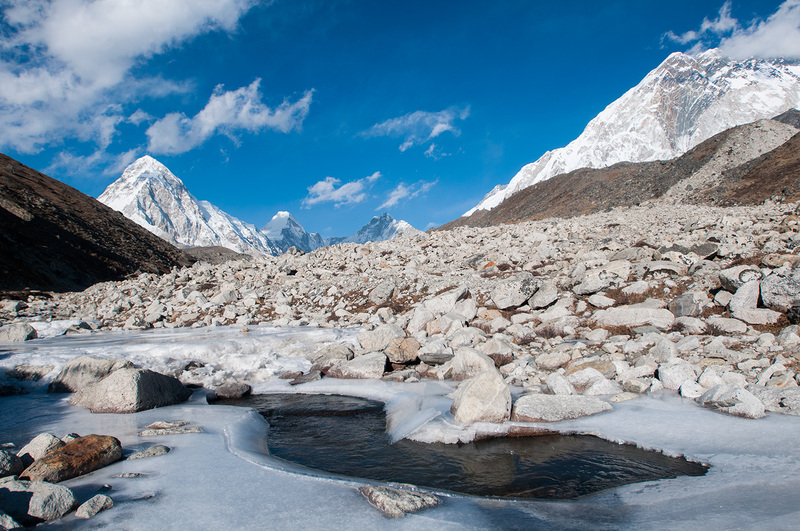 On the right Nuptse (7861m) towers over the moraine of the Khumbu glacier. Ahead are Pumori, Lingtren and Khumbutse. The popular trekkers' viewpoint of Kala Pattar is the low brown hill below Pumori.